Andrijana Gradiscaj Furniss, an aeronautical engineer who decided to follow her passion in interior design and home staging. She's responsible for making the house on the market visually appealing so it gets the right price. Work often is rigourous and hectic but she loves every bit of it. Tell us something about Homes Aglow. 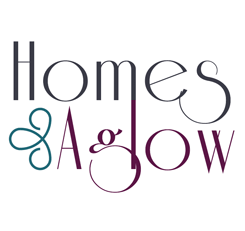 Homes Aglow is a home staging and redesigning company based out of Cleaveland, Ohio. We specialize in enhancing the appeal of the house that's listed on the market for sale. My job is to ensure that the house is presented in the best way possible. Houses in United States are very visual and aesthetics is everything. When someone is looking for a house, they search on the internet and view the pictures of the house and if it's not merchandized properly, it may not be sold at all. Only if it is visually appealing and decorated in the right way do people visit the property. Otherwise the house is either sold under market value or not sold at all. How do you stage a house? Each house is unique. Sometimes, it could be a vacant house i.e. the house is completely empty and all I need to do is put in the furniture, decorate the house and keep it ready for taking the pictures. And then there are times when the house is not ready for anything. We may need to take the wallpaper down, paint the walls and fix broken things. It takes anywhere between half a day to a week where we need to redecorate the entire house before it's all set for viewing. There are moments when the work gets over fast and the house is sold immediately. And then there are times when due to price reduction the house is on the market for a very long time and we need to wait till we find takers for the house. How was the journey like in the home staging industry? When I started out, in Ohio, home staging was not an accepted norm. Now it has become a standard. Everyone knows now that you've got to get your house ready no matter what price range you quote for your house. In the beginning, I was working with real estate companies and home sellers. That working experience helped a lot. Have you always had the passion to decorate homes? What I really wanted to do was to help people. I loved interior decoration and I loved homes. With Homes Aglow, I was able to put those two together. My education did lead me to a different field for a while. Then I got married, had my two kids and all of a sudden, I had a lot of time to think. This gave me a chance to go back to what I really wanted to do. How do you manage your work now? I'm really blessed and it's getting better every day. Currently I'm managing 15 projects. I have independant contractors working for me. But I'm reaching that point where I need to hire more people into the company and delegate the work. One aspect of my work which I didn't like at all was invoicing customers and the paperwork involved. That's when you guys came into the picture. I started using Zoho Invoice within six months of starting my business and it's been wonderful. Invoicing was one part of the business I wasn't able to handle and Zoho Invoice does it beautifully for me. It makes it all so simple. There are new features and I know I'm not using it to the fullest. What I really like about it, is that I can go back literally four years ago and find all my invoices there. It's all organized and arranged neatly and I can access it anytime I want. I feel safe that my data will not disappear. It's extremely helpful for me. We spoke for some more time about her education in aeronautical engineering and her busy schedule with her two kids before winding up the conversation. Hope you enjoyed reading Andrijana's story. You can see some of Andrijana's work and get a glimpse of home staging.